The Wallan Old Time Market is a true country meeting place, to have a chat, to purchase a variety of items and fresh produce. It is also a perfect place to meet, inform local people of updates as to what was happening with ‘their rail trail’. 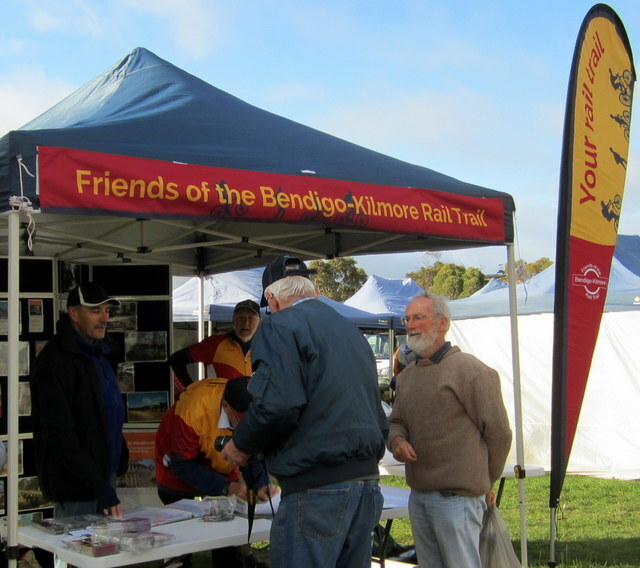 It had been over a year since members of the Friends of the Bendigo-Kilmore Rail Trail and the Mitchell Bicycle User Group last held an information stand at the Wallan Market, so it was time to once again set up at Hadfield Park Wallan. While in 2014 there was positive interest from members of the local and adjoining communities, the enthusiasm was even more evident in May 2015. From increased levels of anticipation, interest, even excitement by some, there were questions of how to become involved and even some suggested opportunities to assist with the endeavourers of our two community groups and the Mitchell Shire Council. 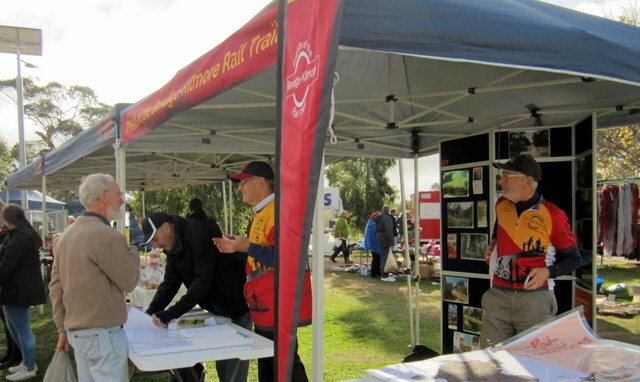 The proposition of a jointly funded local councils and State government feasibility study, a study focussed on a Wallan to Heathcote Rail Trail linking with the O’Keefe Rail Trail at Heathcote plus linked to a possible southern trail connection to the whole of the Melbourne trail network, did encourage new members to join each group. Overall, there were many words of warm encouragement and support, on what was a cool yet sunny autumn morning in Wallan.